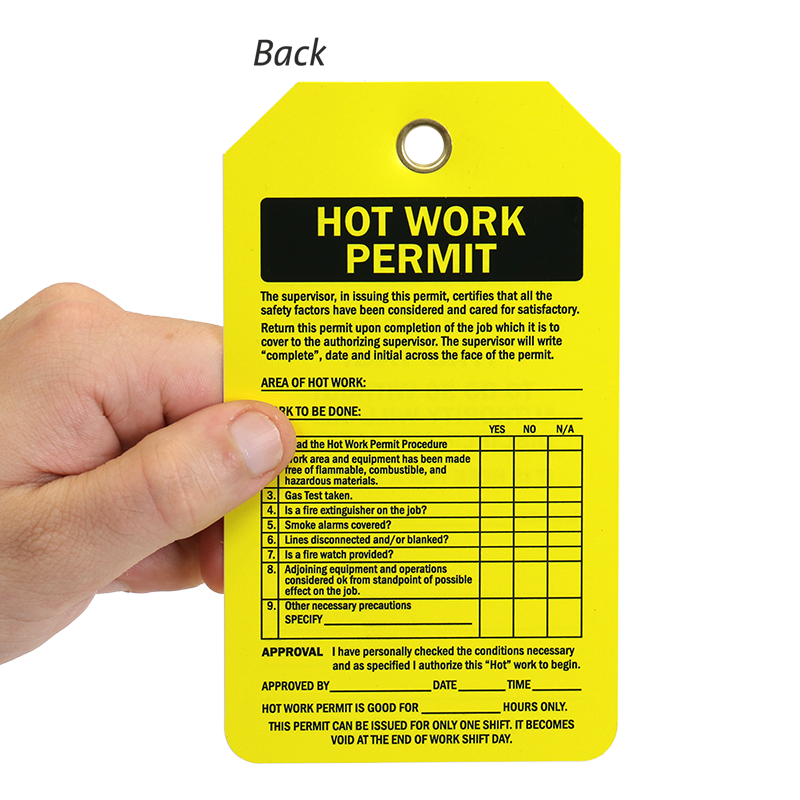 What's your Hot Work status? 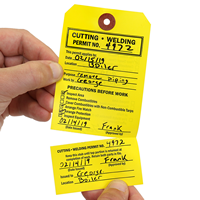 Hang it in an easy-to-use status tag holder. • Fits right over pipes, valves, scaffolding, etc. 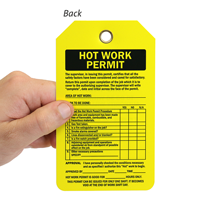 • Great for manufacturing facilities, storage areas, warehouses, construction sites, or to temporarily mark hazards. 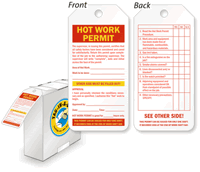 • Safety tags (sold separately) easily slide into and can be attached (using nylon ties) to the inside pocket of the holder. If no tag is inserted, there is a default display message that reads, "Do Not Use." 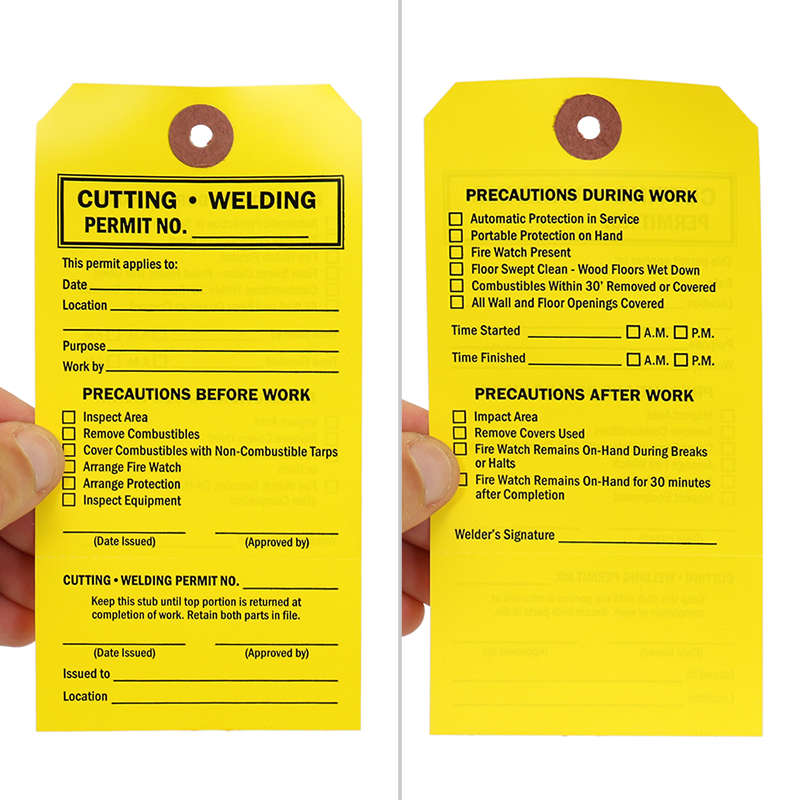 • Designed to fit 3.375” x 5.875”, 3.125” x 5.875”, and 3” x 5.75” tags perfectly. 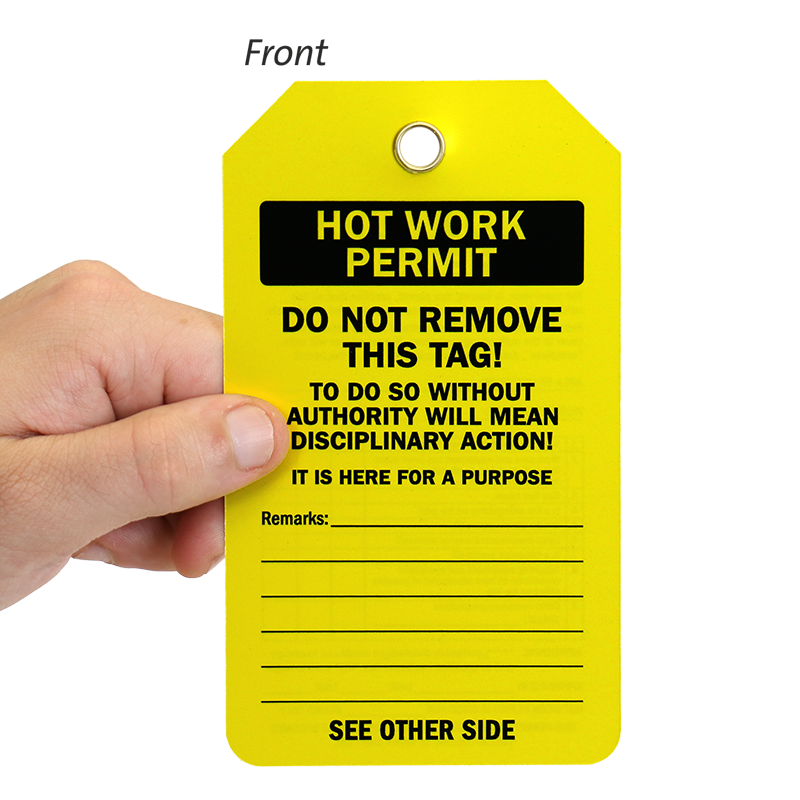 The tag holder pocket is 3.5625" W x 5" H.
We recommend using tags that are over 5" in height and under 3.5625" in width for easy loading and unloading when on the job. • Constructed from durable 60 mil (.060") thick plastic, the holder measures 12" (H) x 4 1/2" (W) overall with a 2 3/4" diameter hole at the top for quick and easy mounting. 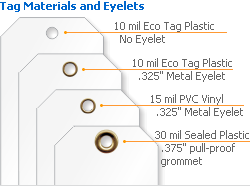 • Tag holder has a center hole that can be utilized with a nylon tie to prevent tampering and access to the tag. • Sturdy 5" (H) x 3.5625" (W) clear polycarbonate plastic front pocket provides exceptional impact and scratch resistance. 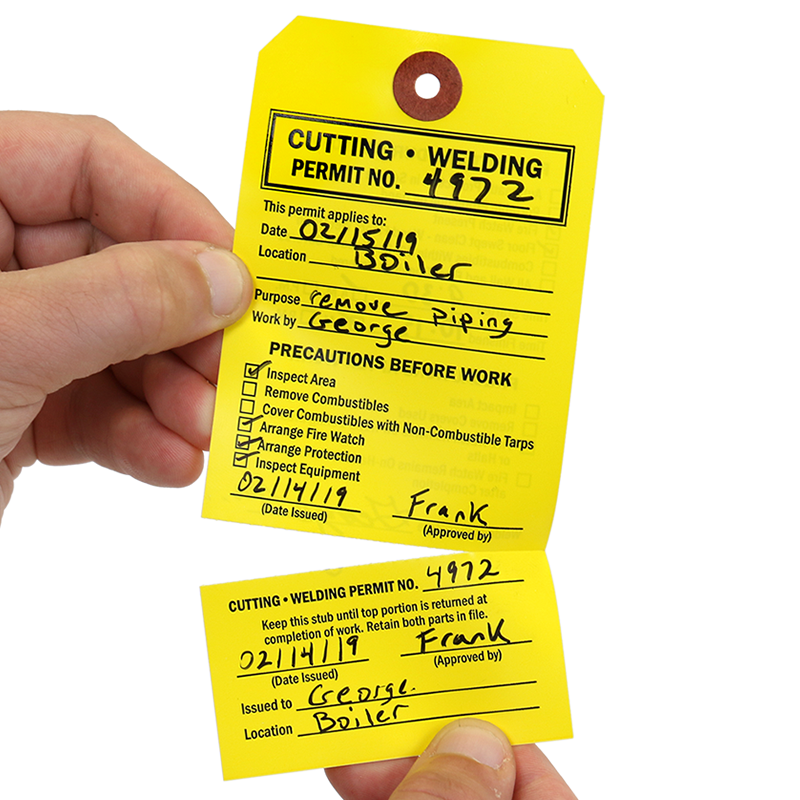 • Tag holders comes with a specific “Do Not Use” default message printed on the inside that shows through the clear polycarbonate window in the absence of a tag. 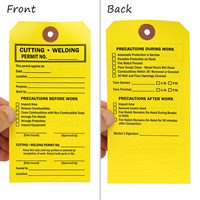 • Tag holder can hold tags up to 3.5625" wide.